Today’s Primary Preview: 3 Quiet States and Some Pennsylvania NoiseThe aftermath of re-redistricting in Pennsylvania’s House delegation is the highlight of four states’ primaries. Lamb Was Right to Declare Victory. 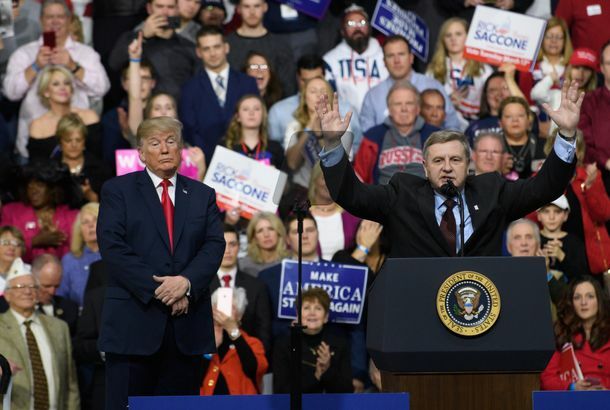 His Lead in Pennsylvania Is Likely to Hold.It may be a few days before it’s official, but it’s getting hard to figure out how Rick Saccone can close the tiny gap between vote counts. No Winner Yet in Pennsylvania Special Election, But the GOP Is the Clear LoserRepublicans couldn’t pull off a decisive win in the heart of Trump country, which does not bode well for November. The GOP’s Closing Message in PA Special Election: Liberals Hate GodAs Republicans try to save a House seat in the heart of Trump Country, they abandon their tax cut message for culture war hysteria. A Special Showdown in Trump CountryRepublican Rick Saccone should still be the favorite in this heavily Republican district in Pennsylvania, but Democrat Conor Lamb could pull an upset. Democrat Looking Strong in Trump-Country Special Congressional ElectionConor Lamb’s not a long-shot candidate anymore, despite heavy GOP and Trump efforts on behalf of his opponent. The Special Election in Deep Red PA-18 Is a Dead HeatFor Republicans in 2018, the polls giveth and the polls taketh away. Pennsylvania Special Election Could Be the First Ripple in a Democratic Wave“I was Trump before Trump was Trump,” says the GOP nominee in a potentially competitive special election.